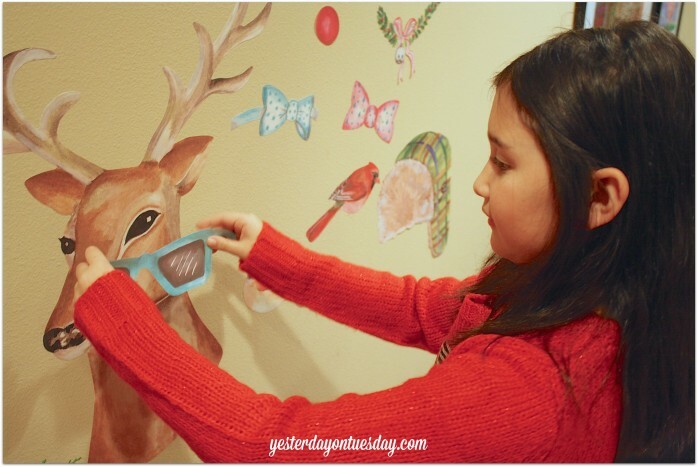 I get giddy about decorating my home for the holidays, and my nine year old daughter loves to help. I love the big smile spreads across her face when we get to spiff up the house for the holidays. She was delighted when she saw all the fun vinyl wall decals available at Wallternatives™. 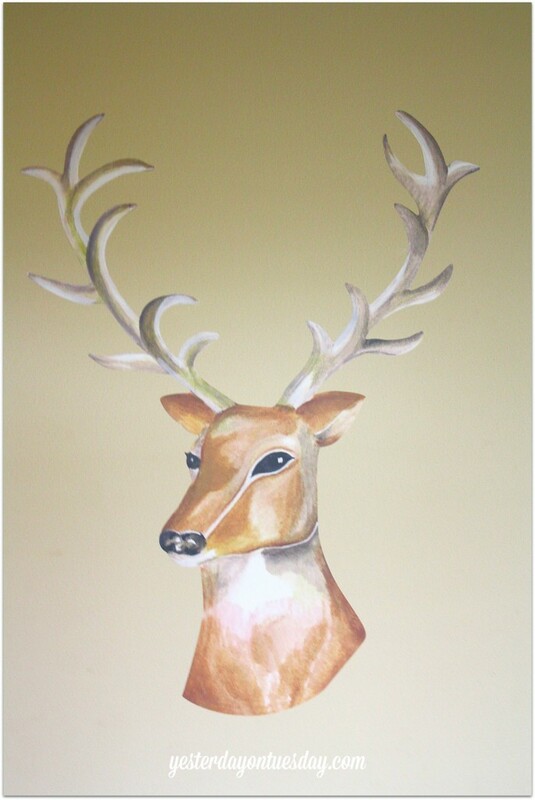 We chose the Reindeer Dress Up Removable Wall Decal Set. It’s part of a new collection of Jennifer Rizzo stencils and wall decals. There are so many fabulous products! I’ll like to have them all! When our package from Wallternatives™ arrived, it was super easy to set up. 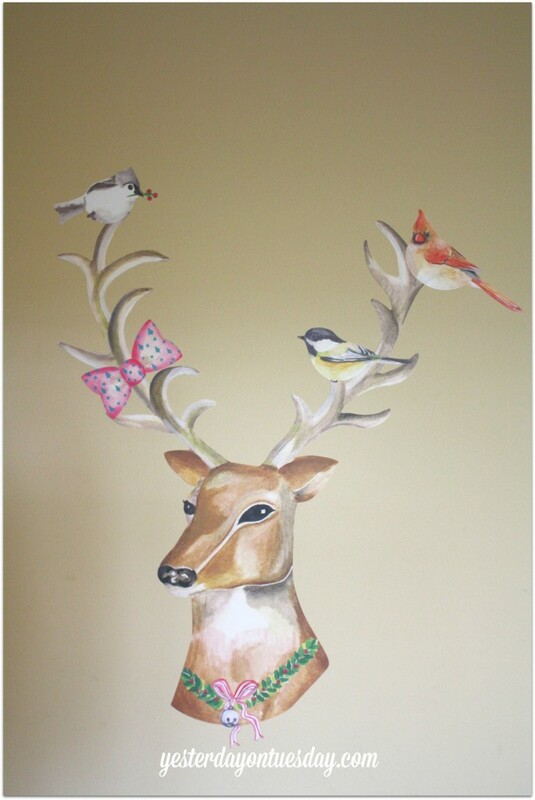 Simply unroll the vinyl and remove the deer and the accessories and stick them on the wall. They stay there perfectly and are really easy to move around. I had everything set up on the wall in our family room for when my daughter got home from school. Mia got busy with all the fun accessories she could play with on the deer. I was so impressed with the quality of the product! Not to mention what a great impact the wall deal can make in a room. 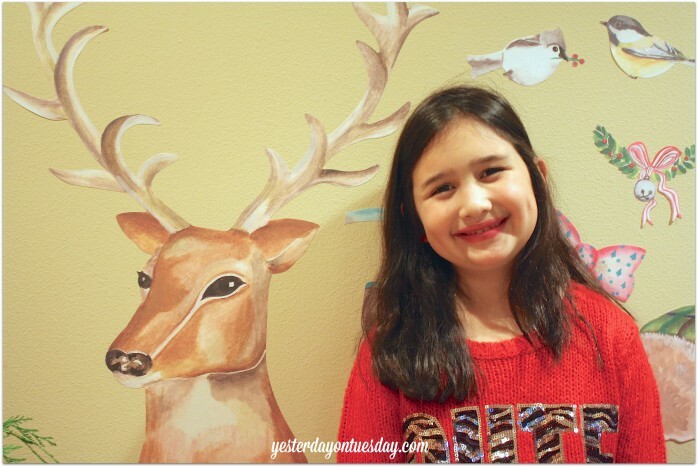 I know she’ll be playing with her deer every day. 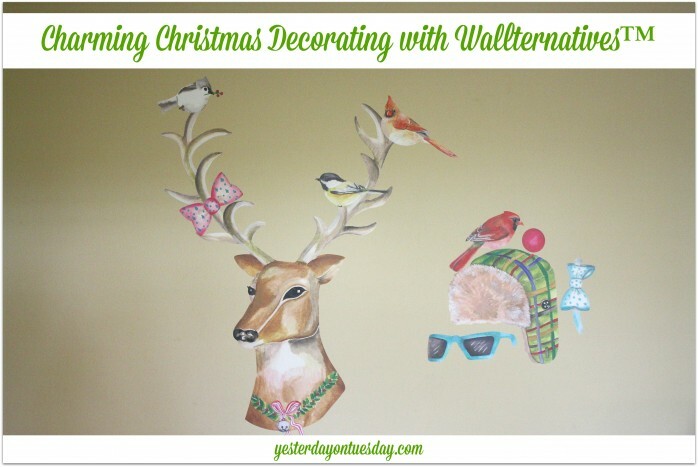 There are so many other great products that you can spruce your home with from Royal Stencils and Wallternatives™! 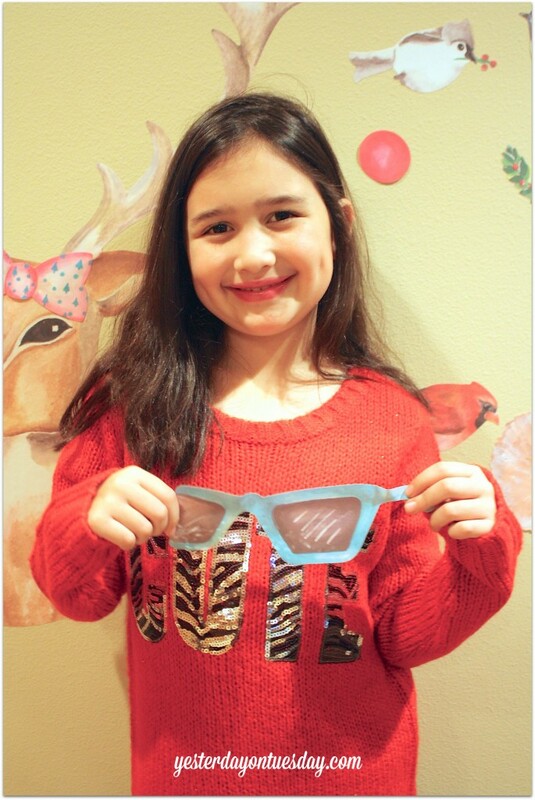 And the Jennifer Rizzo Collection is full of charm, whimsy and good cheer. I hope Santa brings me some more of her products for Christmas! She looks like she’s having a blast! Hope your holidays are fun, festive, and toasty!